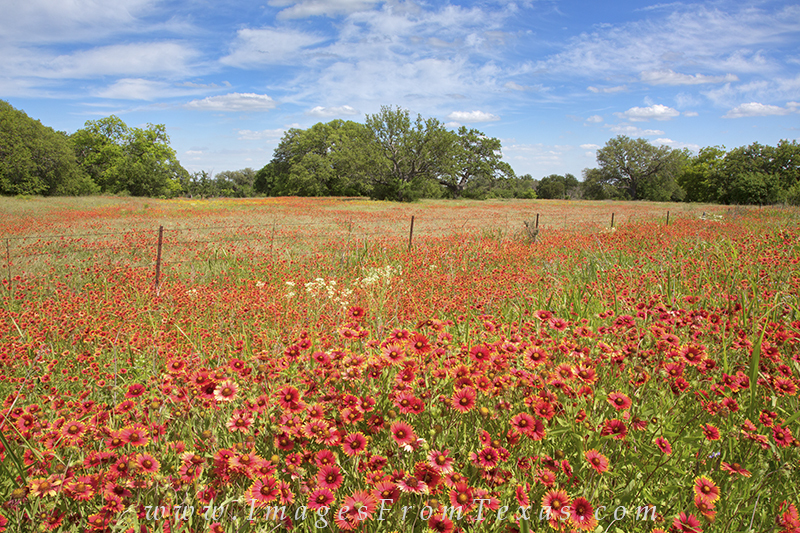 Firewheels cover a field alongside a dirt road in the Texas Hill Country. Wildflower sightings such as this are common in the spring, especially after a wetter than average month. Photo © copyright by Rob Greebon.